Please submit our express quote form and a Temporary Power Specialist will call you in the morning of the next business day. Our approach, developed over decades of experience, is fine-tuned to get the results you want. 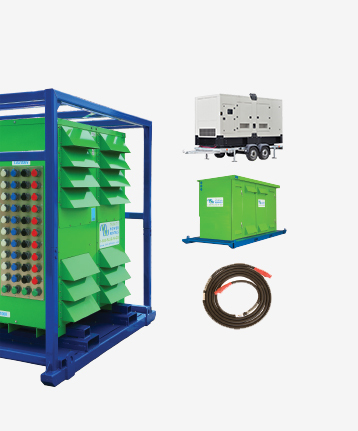 We deliver concept-to-completion solutions, designed by temporary power specialists with access to the largest inventory of high-quality power generation and distribution equipment in North America. From a wide range of diesel and natural gas generators to transformers, cable, light towers and more, our large rental fleet and extensive vendor network ensure we’ll have the temporary power equipment that your project requires — every time. 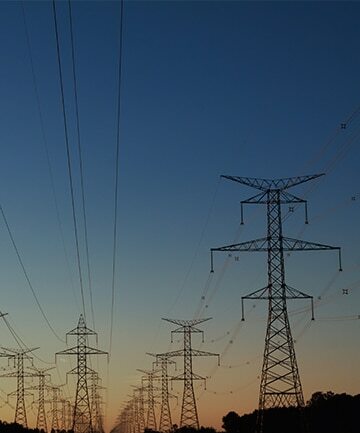 For nearly 20 years, we have been at work powering projects across Canada’s industrial sectors. Select from this sampling of industries to learn how we can put our expertise to work for you. A PROUD HISTORY. A BRIGHT FUTURE. From our inception in 1998, we have been building our team on a foundation of excellence. Our team members’ passion, expertise and commitment are what have allowed us to grow into a national company with projects across Canada. Click on the links to learn more about our history, our team or our career opportunities. When one of Canada’s largest staffing companies faced an extended power outage with payroll due in just two days, the problem had the potential to affect the lives of thousands of employees across the country. The fact that the outage occurred on Thanksgiving Day complicated their situation further. Fortunately, Trinity Power technicians answer calls 24/7 every day of the year, so we were able to get electricity running to company servers, allowing payroll to process on time, without interruption. The unexpected outage was the result of an underground fire in downtown Calgary that darkened three blocks of the city’s office buildings for six days. With no experience handling power emergencies, the company’s managers first turned to Google to locate a temporary power provider who could meet the their urgent needs. Trinity Power representatives answered their call. Relying on our extensive equipment network, we identified a local generator and arranged a shipment of cables from Edmonton that was delivered just as electricians arrived on the scene to perform the temporary-power installation. We even connected the staffing company with a fueling vendor, allowing them to pay per fueling. Although final connections were delayed until the Calgary Fire Department could extinguish the underground blaze, our client’s payroll operations were up and running soon after. The staffing company might not have known where to turn prior to this emergency, but, their representative noted, they’ll know whom to call in the future. TEMPORARY POWER SOLUTIONS FOR THE ELECTRICAL CONTRACTING INDUSTRY. Trinity responds to a late night residential tower power outage in New Westminster, B.C. Trinity Power was called on to provide equipment for a major construction site for a job that could last up to two years. I agree to receiving commercial emails from Trinity Power.